A PhD scholarship in Biomechanics/Biorobotics has been announced under the EU-FP7 program at Bielefeld University, Germany. In the EU-funded FP7-Project EMICAB (Embodied Motion Intelligence for Cognitive, Autonomous Robots), the University of Bielefeld (Germany) invites applications for a part-time position as research assistant (PhD student) for the duration of three years. The positions are remunerated 50% of E13 (according to TV-L West, German public service). The salary scale typically ranges between 19200 and 22400 Eur p.a., depending on work experience. 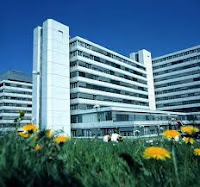 The positions on offer are embedded into an excellent interdisciplinary environment with intensive contacts to various facilities and workgroups of Bielefeld University. In particular, this includes the Center of Excellence in Cognitive Interaction Technology, CITEC. The EU-project (www.emicab.eu) as a whole is formed by the Biomechatronics lab and the Neuroethology lab of Bielefeld University (coordinator), a Systems Engineering lab at the University of Catania, Italy, a Sensor Technology lab at the University of Southern Denmark in Sønderborg, and a Neurogenetics lab at the University of Mainz, Germany. Goal of the EMICAB-project is the abstraction of neuro-ethological and neuro-genetic research results in the context of autonomous walking movements to generate artificial neural network models for intelligent behaviour. In parallel, a novel six-legged walking robot is being assembled and – within the project – expanded by rich body sensorisation and additional actuation. The position is in the area of Neuroethology/Biomechanics with a relation to Biorobotics. The successful candidate should hold a master or diploma degree, preferably in biology or neuroscience. Advanced experimental and theoretical skills in Neurobiology (sensorimotor systems) and/or Biomechanics (whole-body kinematics, force measurements) are advantageous as well as sound experience in the analysis of multi-dimensional data. Candidates with a background in a related area within the computer sciences (e.g. bio-inspired robotics) are also encouraged to apply. Participation in administrative and organizational tasks of the EU-project is also expected. The position is suited to conduct a PhD-project. Please send your application with the usual documents (cover letter, CV and transcripts as well as the name and contact information of two references) – also electronically in pdf-format. Note: Application deadline for the PhD scholarships in Biomechanics/Biorobotics, EU-FP7, Germany is 15 March 2011. Demikianlah artikel mengenai PhD Scholarship in Biomechanics / Biorobotics, Bielefeld University, Germany Semoga Bermanfaat Bagi Anda.